(a) Place the rear seat assembly LH in the cabin. 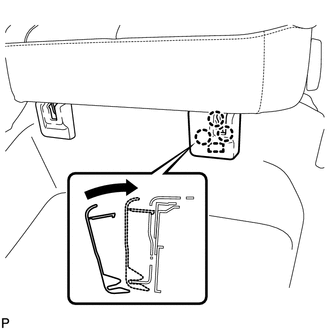 (c) Temporarily install the 2 bolts on the rear side of the seat. 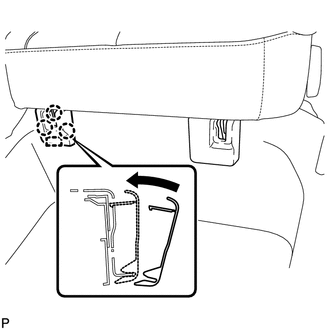 (d) Install the rear seat assembly LH with the 4 bolts. 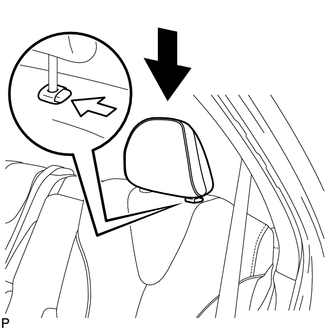 (a) Remove the rear seat No. 2 reclining control cable from the carpet hole. 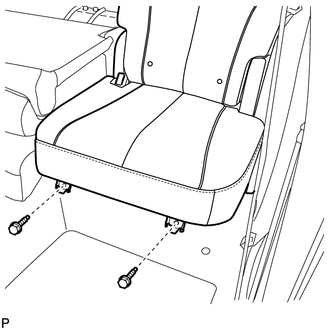 (b) Connect the rear seat No. 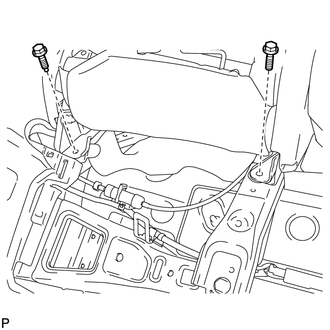 2 reclining control cable sub-assembly as shown in the illustration. 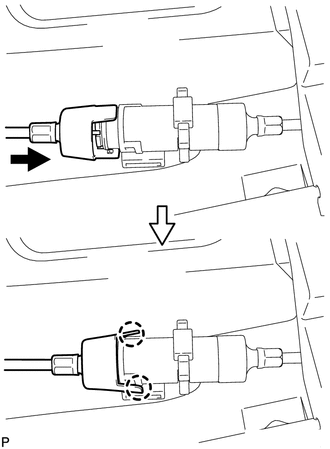 (c) Engage the 2 claws and connect the rear seat No. 2 reclining control cable sub-assembly as shown in the illustration. 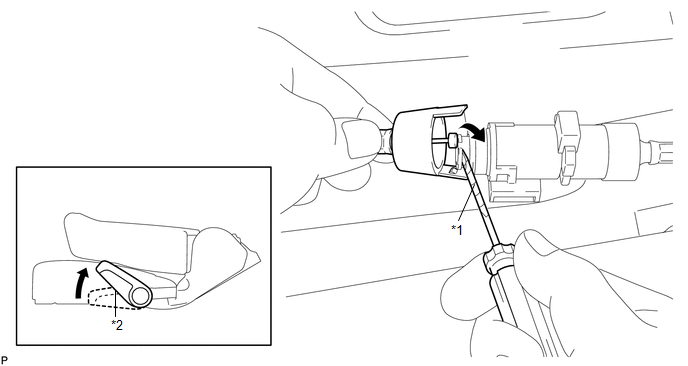 (a) Engage the guide and 3 claws and install the rear seat outer track bracket cover as shown in the illustration. 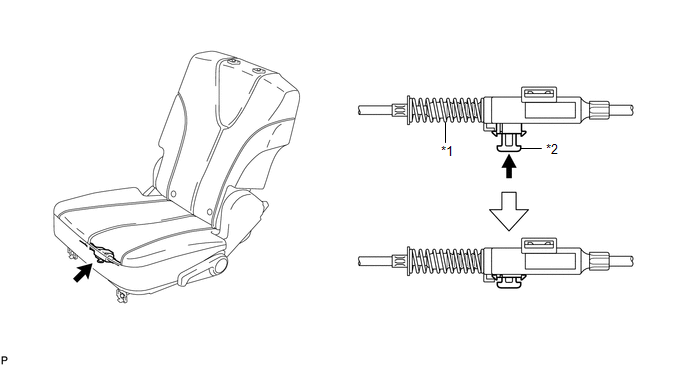 (a) Engage the guide and 3 claws and install the rear seat inner track bracket cover as shown in the illustration.